The index opened weak below 8500 but saw good buying interest to move to the highs of the day at 8646 only to see profit booking to the lows again but closed at 8565.55, gain of 39.20 points. The broader market though was negative, with 728 advances to 753 declines. Developing Range as per Option Table comes to 8300-9000. Call option 8600-9000, 9200 added huge 25.07 lacs OI with profit booking seen at 9100 strike price. Put option 8600-8400, 8200 added huge 10.69 lacs OI with short covering seen at 8700 and above strike prices. 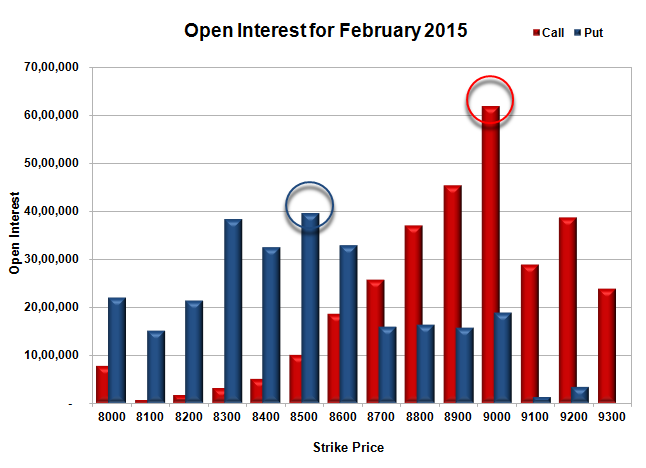 Nifty Open Interest is at 2,49,42,100 up by 1,37,875, with increase in price, most probably long build-up. 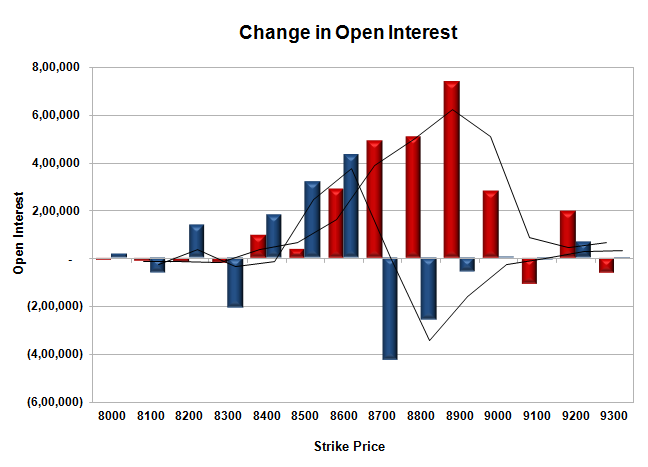 Bank Nifty Open Interest is at 20,62,325 down by 1,85,450, with increase in price, most probably huge short covering. FII’s bought 4.89 lacs Futures, which includes 2321 contracts long build-up and 17221 contracts short covering, with decrease in net OI by 14900 contracts (includes 90078 longs to 70536 shorts for the day) and the Average Price comes to 8662.74. FII’s Index future open contract as on date is 737685 Longs to 121784 Shorts, net long 615901 up by 19542 contracts. Initial and best support at 8500, with huge OI of 39.58 lacs and below that at 8400 with OI of 32.50 lacs. Initial resistance at 8700, with huge OI addition of 4.92 lacs for the day and above that at 8800 with OI of 37.09 lacs. 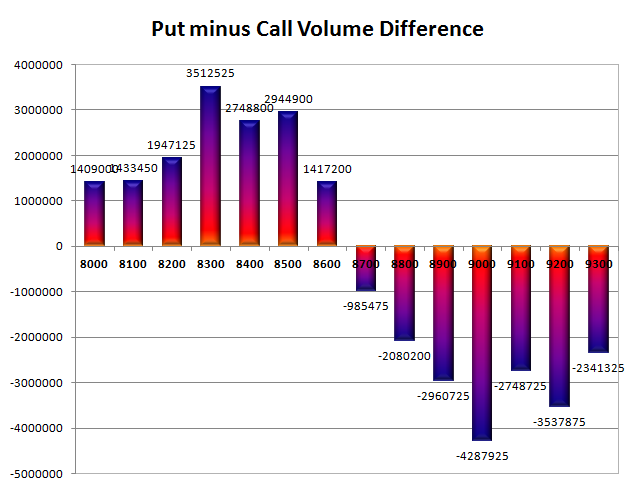 Day Range as per Option Table is 8473 - 8656 and as per VIX is 8471 - 8661 with 8561 as the Pivot.